NICK’S TOWING IS HERE FOR YOU! 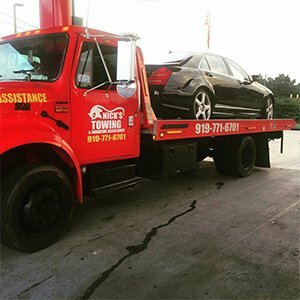 If you are having car troubles in the Raleigh, North Carolina area, Nick’s Towing is here to help! Whether you need help with Roadside Assistance or an Emergency tow, you can depend on us to aid you in your time of need. We are proud to serve residents and motorists in the Raleigh metropolitan area. Call us the next time you need help and we will be there! Do you need to move a car? Leave it the professionals at Nick’s Towing. We specialize in long distance and short distance tow and service calls within a 50 mile radius of Raleigh. You can rely on us to get you and your vehicle back to safety when you have car troubles within the Raleigh Metropolitan area. You will find our friendly staff is prompt and courteous, no matter the time of day or night. There is no reason to bother with other tow companies, when Nick’s Towing is always there, ready to answer your call. If you find yourself with a flat tire, a dead battery or your gas tank is empty, Nick’s Towing offers speedy roadside assistance services. We offer tire changes, emergency jump starts, gas delivery and lockout services. In the event that we are unable to get your vehicle back on the road, our emergency tow services will make sure that your car is towed to the service garage or destination of your choice. Our emergency roadside services are always available to help stranded motorists, so give us a call the next time you find your car won’t start or you have a flat tire. We will be there to help you in a hurry! 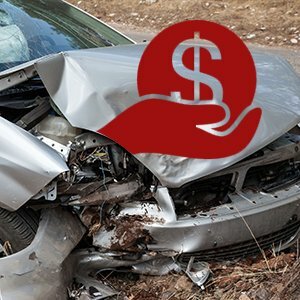 If you have junk cars, we offer cash for them regardless of condition. We buy cars and trucks whether they are running or not. Bring your junk cars to us and let us make a cash offer to take it off your hands. If you have cars that don’t run, we can come tow them off your property for you. 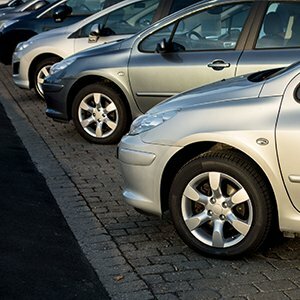 Our “Cash for your clunker” program assures that your old cars are always worth something! Stop by our shop to get a cash offer on your vehicle today. If your car is not roadworthy, give us a call to arrange a tow from your location – we will still pay you!depend on us! IDo you need to tuck a car or truck away safely? Nick’s Towing provides short-term and long-term vehicle storage services. Our auto storage facility keeps your car or truck out of the elements so you can use your garage for other hobbies than storing your car! We can store vehicles of all sizes, so it doesn’t matter if you have a Volkswagen bug or a 1976 Cadillac Sixty Special, we have got space for you in our storage facility! Give us a call for our storage rates and let us help you! Nick’s Towing & Roadside Assistance has the best rates and the fastest response times in the Raleigh, NC area. You can count on Nick’s to get to your location quickly, and get you back on the road. We accept all major credit cards on the spot. 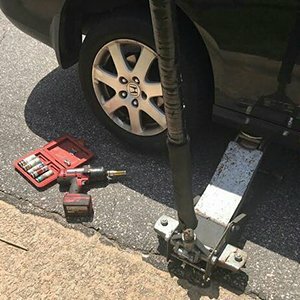 Nick’s Towing & Roadside offers complete Towing and Roadside assistance service in the Raleigh area. Call us for the best prices on Tows! We offer fast 24 hour Towing Service as well as roadside assistance. 1721 Lake Wheeler Rd, Raleigh, NC 27603, EE. UU.